Liev Schreiber Connection: Drama Desk Awards - VIDEO ADDED! Drama Desk Awards - VIDEO ADDED! Also, see our Gallery for more photos from this important event. 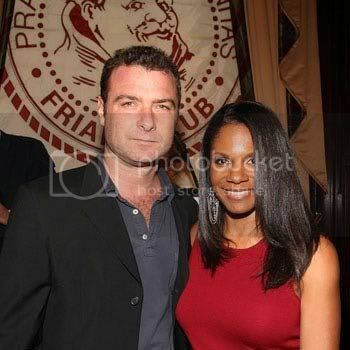 Stage and screen stars Audra McDonald and Liev Schreiber announced the nominations for the 56th annual Drama Desk Awards at the New York Friars Club, on Friday, April 29. The Drama Desk is an organization of theater critics, writers and editors which honors excellence in all areas of New York theater, including Broadway, Off-Broadway, Off-Off-Broadway and not-for-profit theater. Harvey Fierstein will host the Drama Desk ceremony at the Hammerstein Ballroom on Monday, May 23, at 8pm. The ceremony will be filmed in HD for a television special that will be given two primetime airings plus four additional national broadcasts on Ovation between June 2 and June 15, 2011. The musical The Book of Mormon received 12 nominations, the most out of any single production. Your pings seem to come before mine!!!!! I got my ping just after you'd posted this!! Great find on the vid though!! !